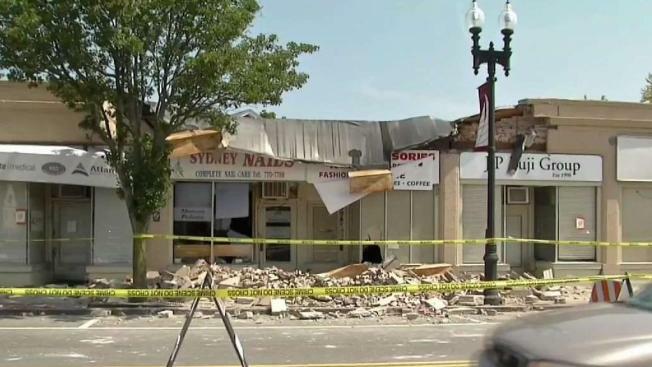 Engineers are trying to determine the safety of a building in Quincy, Massachusetts, after a facade collapsed early Monday morning. Quincy fire officials said the 40-foot-facade and portion of the roof came down at a vacant building on Hancock Street just before 7 a.m.
"The fire department said I can't go into my building, it's collapsing," said Nicole Todd, who works at the dental office near the scene. She said she was told officials on the scene expect more of the building to come down. 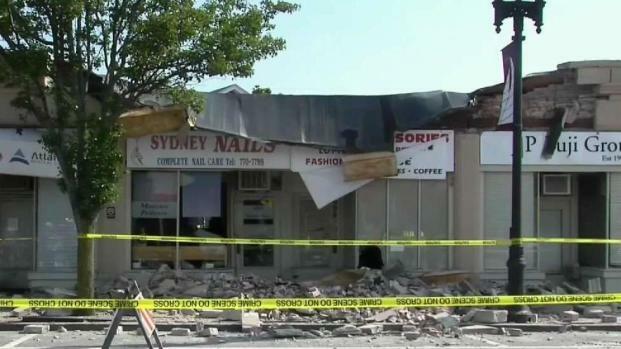 Officials are investigating a partial building collapse in Quincy, Massachusetts. "They are kind of just waiting for it to fall and they are probably going to have to take the whole building down," Todd said. Robert Cook wasn't surprised by the news and said he noticed a crack in the building when he was at the coffee shop with his daughter on Sunday. "It's a mess," Cook said. "I'm glad I wasn't underneath it yesterday." Meanwhile, the collapse has affected commuters in the area. The MBTA says its Wollaston shuttle is only serving Wollaston and North Quincy stations due to the building collapse. The transit agency recommends passengers heading to Wollaston from Quincy Center use the Red Line to North Quincy and use the shuttle from there to Wollaston. Officials said an engineer has been hired to evaluate the area to see if the building's roof beams were compromised. "They have to bring an engineer in to see if the roof beam were compromised and it will go from there," said Quincy Fire Chief Gary Smyth. Authorities said the collapse zone is still intact. Right now, the facade is the area engineers are focusing on.